Drove 3 hours yesterday to go pick up what i was told was a gt35r which turned out to be what he said was a gt35 journal bearing. I've never heard of this and he says he bought it from a place in Texas and is sending me the invoices. He also told me that it was custom built for him by the place he bought it from. Im still really not sure what this is, please help. Send a private message to YARO. Find More Posts by YARO. Take the covers off and measure the MAJOR/MINOR diameters of both wheels. You must measure the wheels with the COVERS OFF ONLY..
You need a caliper to measure these items. That is the only way you're going to know. And a GT35 journal bearing has SIMILAR characteristics to a GT35R. The aerodynamics of the exhaust wheel and the cartridge are what changes things. i actually just got my GT35r in the mail today, i'll take the unknown turbo to work tomorrow and get a measurement. Thanks Shodan for clearing that up. 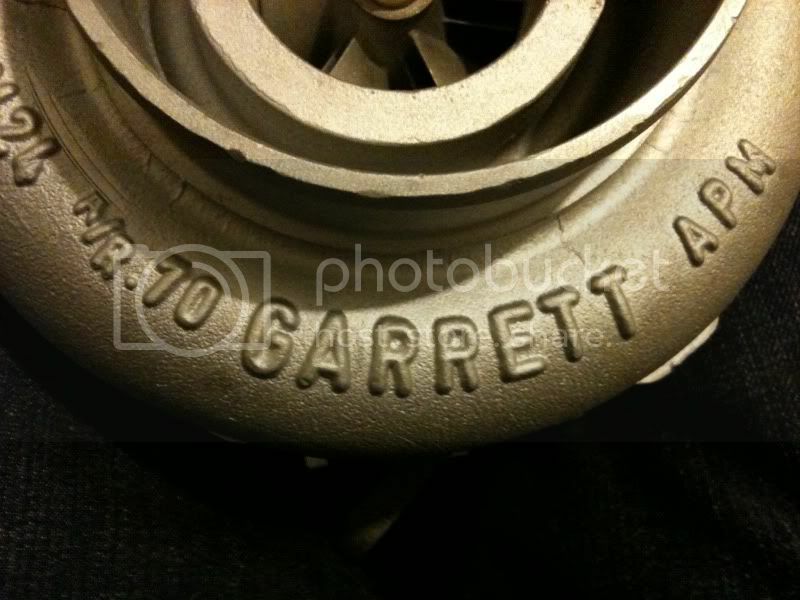 "Garrett GT4088 Journal Bearing. Compressor housing is slip on 4" inlet with anti-surge ported shroud and compressor outlet is 2.5" slip-on. ATP Special Exhaust housing with a T3 Flange with standard 4 bolt into a easy downpipe compatibility and plug and play replacement for older large frame T-series turbos. Largest trim available in GT40 family capable of making a healthy 700+ HP setup. Engine Displacement 2.0 to 6.0"
MAYBE.. just measure the wheels, player... then you KNOW. Or maybe just send an email to garrett with the serial number. They will tell you exactly what it is. 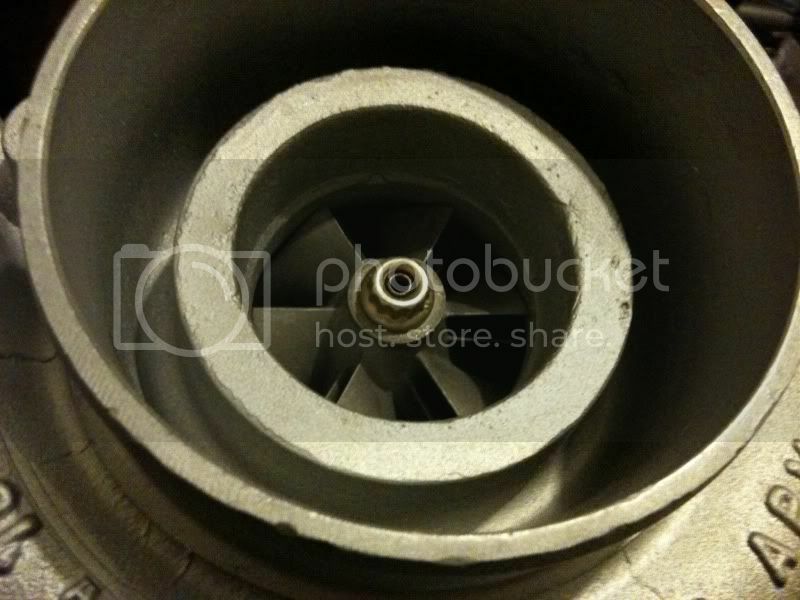 looks like you have the exducer / inducer backwards on the turbine side. That is DEFINATELY not a GT4088 in either journal or ball-bearing, and the turbine wheel is very large with a compressor wheel smaller than a 46 trim t04b, if your measurements are correct. that's about 38-45lbs/min. 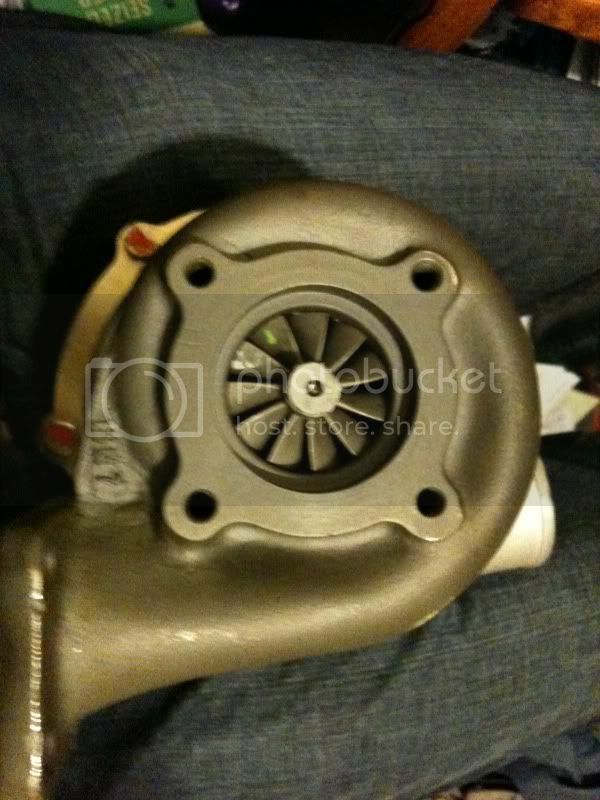 Looks to me like you got sold a tractor turbocharger made for super low torque, not top end,... like a Diesel. Again, this is if you went and dusted off that math book and started re-reading chapters on how to measure and it was done correctly. Please don't ask "what it'll do for me..." you won't like the answer on most applications. 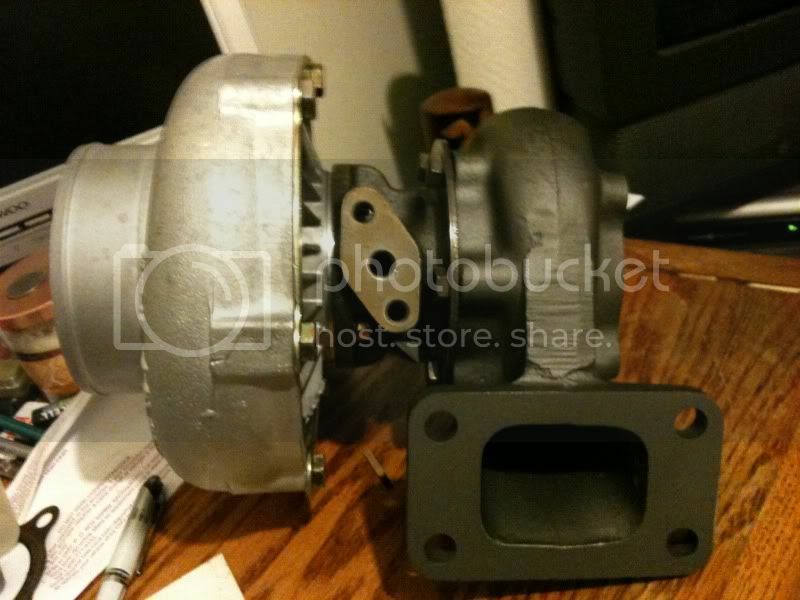 When he gave me the part numbers all google gave me was a turbo out of an Isuzu diesel truck. Like a commercial truck. Think it said 88-91. That seems like a stg2 garrett turbine with the exducer (small diameter) reduced to fit the housing... Usually they "clip" the inducer instead, so that's odd as hell. The GT3271 is the closest turbine at 64mm, but it's exducer is ~55mm. The compressor is about what a 46trim t04e would be. 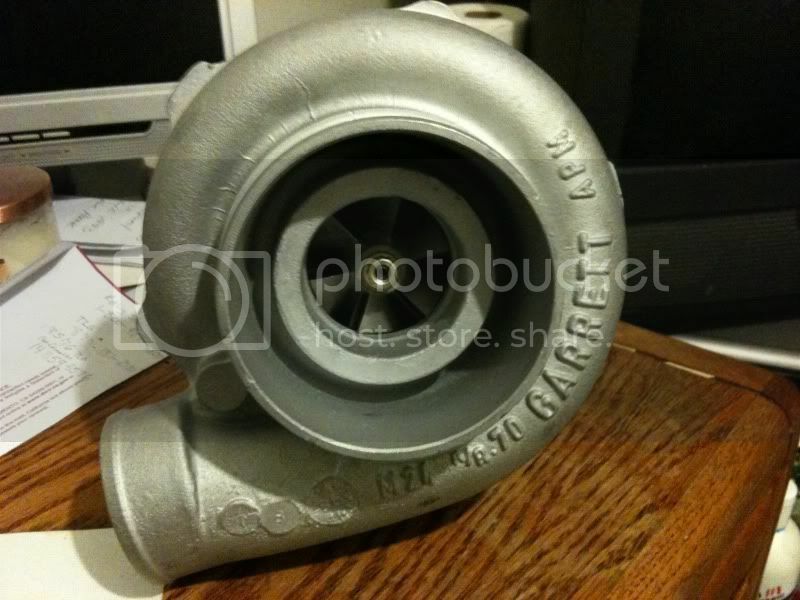 That's also roughly the same size as the majority of ebay turbos, 2" inducer/3" exducer. Oddly enough, I recently PM'd BLAAST Performance to see if they could get that 4" ported housing for a 50trim wheel (pictured below). They replied that they'd have to machine it, since it only times in the 57trim and 46trim sizes. Your "anti-surge" has no groove cut into it, either. 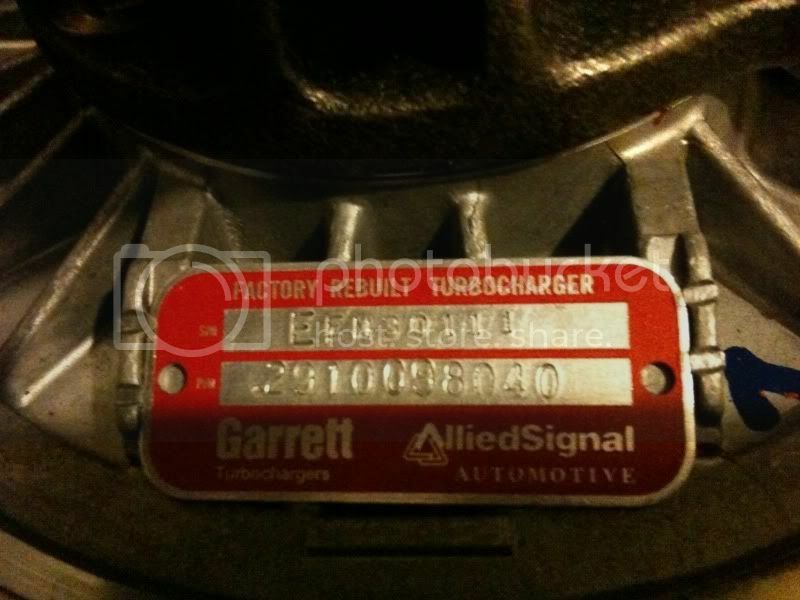 Long story short, it sounds like a custom mix of JDM & CDM Garrett parts, and baaarely capible of 400hp on race gas. Do not want. Your Kung Fu style is very good!!! NJ FS NJ : Powder Coated VALVE COVER ! VALVE COVERS !! I need some info on diameter of ls/b16/gsr crank journals.